Darren and I are part of a local group that read the Bible together on Tuesday nights. It’s lovely – the kind of group that welcomes you in your slippers, or lets you cry if you need to. Two weeks ago, one of the couples had twins! The rest of us have got grown up kids or teenagers, so we’re frankly besotted. 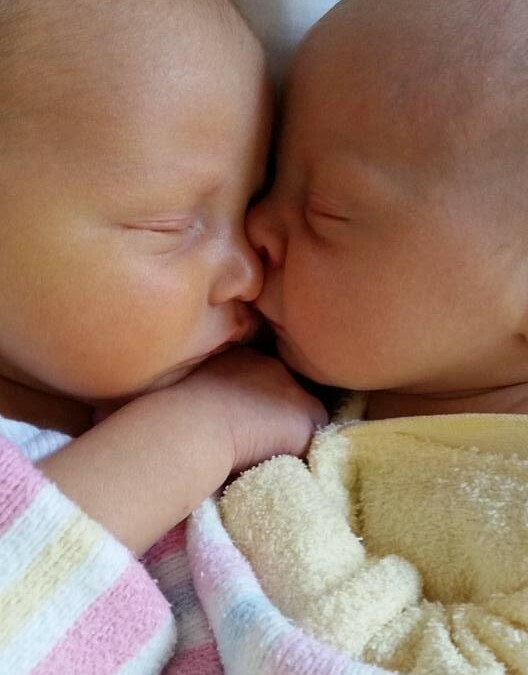 The twins came to the group last week – feeding and sleeping and cuddling and then arching their heads, asking for more. At the same time, we happened to be reading 1 Peter 2, “Like newborn babies, crave pure spiritual milk…” Sometimes, you don’t need extra imagery! There they were in front of us, with their instinctive needs and cravings and head turnings. It made me think about how, so often, I don’t crave spiritual milk in the same natural, eager way. I read the Bible because I have to, or as a task, often. What would it mean for me to crave it, all day long, like a newborn baby arches her head and cries, till she gets it… or till we get what we really need – time alone with our saviour, food from his word, hope for our souls, perspective for our muddled-up lives.